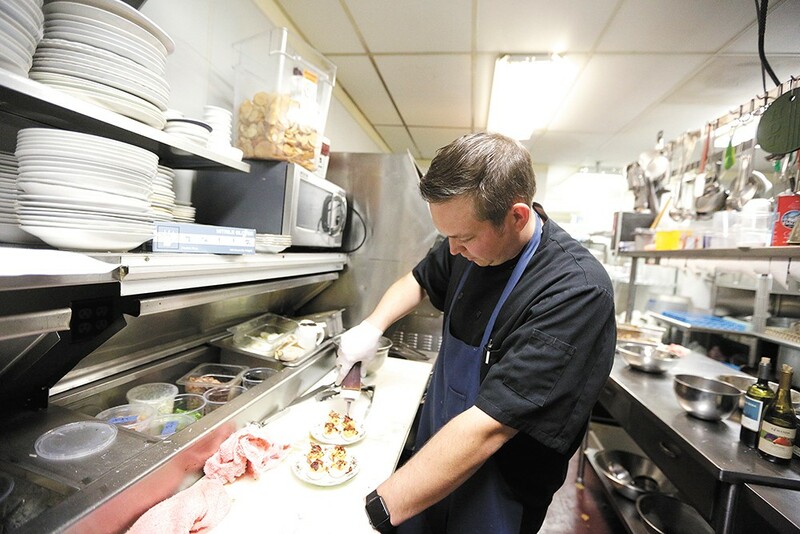 Award-winning local Chef Adam Hegsted dreamed up the idea for the Crave! NW food fest. With 10 events featuring 50 chefs spread out over four days, Chef Adam Hegsted's vision for a "big and grand" food festival is soon to be a reality. The upcoming Crave! NW food and drink celebration in Spokane Valley from June 15-18 will feature a long list of local and regional chefs, as well as culinary pioneers from food capitals across the country who are coming to see what the Spokane region has to offer. "It needed to be bigger to start off, instead of just starting small and doing a couple small events," says Hegsted, who organized the event with the help of local firm Vision Marketing. "We wanted to make it big and grand. It's one of the biggest events from here to the Midwest... It's pretty risky, but I think the whole region will come out," he continues. 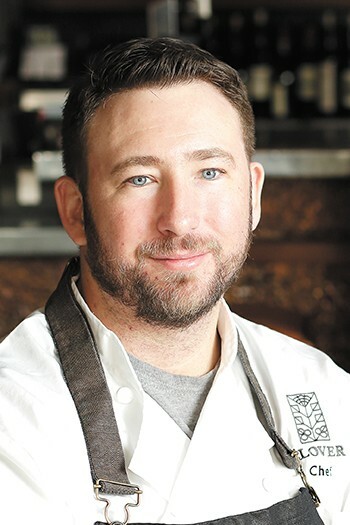 Hegsted, a semifinalist for the 2016 James Beard Best Chef award, has played an important role in the region's growing culinary industry as chef and owner of the Eat Good Group, which includes the Wandering Table, Yards Bruncheon, Gilded Unicorn and Le Catering. After several years watching independent restaurants, breweries, distilleries and other culinary businesses gain momentum alongside the region's simultaneous arts and culture revival, Hegsted thinks a food festival could be another important push forward. "I want to keep driving that and coming up with new things," he says. In part thanks to a local chef- and producer-driven culinary movement, he believes that Spokane is starting to own its identity, rather than living in the shadow of Seattle and Portland. He wants the festival to get everyone in the food community in the same room to see what's going on. "I think as Spokane grows, things just keep getting better and better," Hegsted remarks. After growing up in Post Falls, Travis Dickinson — now the executive chef at Clover restaurant, who will be participating in a seafood event on the first evening of Crave! — spent 15 years in Portland. He says the competition between restaurants is extreme there, where each well-known street "has 10 great restaurants." Dickinson, who moved back home nearly three years ago, is proud to see Spokane diners continue to show greater willingness to pay for quality, making it feasible for the whole industry to grow. Clover Chef Travis Dickinson is participating in Crave! NW. "New chefs [are] coming into town from different places, bringing fresh ideas and new creativity," Dickinson says. "Hopefully these chef-owned restaurants continue to thrive. I think Spokane is getting a little more hip to come in and support those guys, instead of the chains." In an effort to make Crave! NW as large as possible, Hegsted contacted chefs known all over the world for their culinary contributions. He says he soon realized he didn't have to give each chef an in-depth lesson on Spokane, because it was already on their radar. Events on the four-day festival schedule include special appearances and events featuring Bruce Sherman of North Pond restaurant in Chicago, Jeremiah Tower of Stars in San Francisco, Trevor Bird of Fable in Vancouver, B.C., Mark Peel of Bombo in Los Angeles, Brian Duffy of Flying Fish Crafthouse in Philadelphia, and Rick Moonen of RM Seafood in Las Vegas. "It's just really cool to have such iconic people come here — people I've looked up to my whole career — and be able to meet them, and have them come to the place where I grew up and where I live," Hegsted says. "There's no way to not feel the pressure to show off. We're trying to put our best foot forward." The film Jeremiah Tower: The Last Magnificent will be shown at noon on Saturday ($50). It explores Tower's life as a pioneering chef in California, and those who attend the showing will also receive Tower's book Start the Fire. Tower will sign books after the screening. Crave! NW is taking place at Spokane Valley's CenterPlace Regional Event Center, a 54,000-square-foot space in Mirabeau Point Park. The festival includes day and evening events to taste dishes by its featured, award-winning chefs, paired with wine, craft spirits and beer provided by local and regional purveyors. Grand tastings are held from 1 to 5 pm on both Friday and Saturday, June 16 and 17; each includes food and drink samples and on-stage chef demonstrations. Evening events from 6 to 8 pm each day follow unique themes, beginning Thursday, June 15 with a seafood bash, followed by a Carnivale-themed street foods market on Friday, June 16, and a fire-and-smoke barbecue with entertainment by the Coeur d'Alene Tribe on Saturday, June 17. A family-friendly Father's Day brunch on Sunday, June 18 is set for 11 am to 2 pm. A portion of proceeds from ticket sales benefits local food and nutrition resource nonprofits Second Harvest and Big Table. Dickinson says the varied schedule allows festival-goers to pick and choose based on their own interests and schedule.